Folic acid supplements are given to pregnant women to reduce the likelihood of a neural-tube defect in their unborn children. Women are encouraged to take a vitamin with folic acid before becoming pregnant, but doctors recommend at the very least starting a vitamin regimen as soon as there is a positive pregnancy test. Pregnant and nursing women need between 500 and 600 mg of folic acid each day. Folic acid is found in supplements and as an addition in many foods, including bread. Take folic acid before eating your breakfast or directly before bed. Taking folic acid supplements with food can reduce its absorption rate but only slightly. Drink plenty of fluid when taking your folic acid supplement. Do not drink green or black tea when taking your supplement as both have been linked with decreased folic acid absorption. Speak with your doctor before starting a folic acid regimen because some medications can reduce the absorption of folic acid. Folic acid can also reduce the effectiveness of some medications. 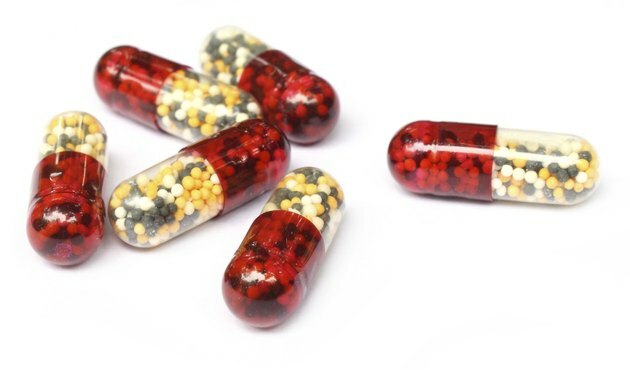 Such medications as Fosphenytoin, Primidone, 5-Fluorouracil and Methotrexate can have their effectiveness reduced if you are consuming folic acid supplements. Methotrexate is normally prescribed to reduce the effects of folic acid, so taking extra folic acid while on the medication is not recommended.